Why Might You Need Rehabilitation? There are actually quite a lot of reasons why someone might need rehabilitation. By definition, rehabilitation (or rehab) is the process of getting back to full health through treatment or therapy. You’ve recently had surgery for something. After any of these three possibilities you will usually be left with weakness and some degree of joint stiffness, and it’s for these reasons that you would need rehabilitation. In order for you to regain full function and strength of that previously injured area, you will need to routinely carry out some specific strengthening or stretching exercises until you regain that function. Each of the three reasons mentioned above will have their own challenges and will need their own approach for improvement. This is without a doubt the most common reason we see people for when it comes to rehabilitation. 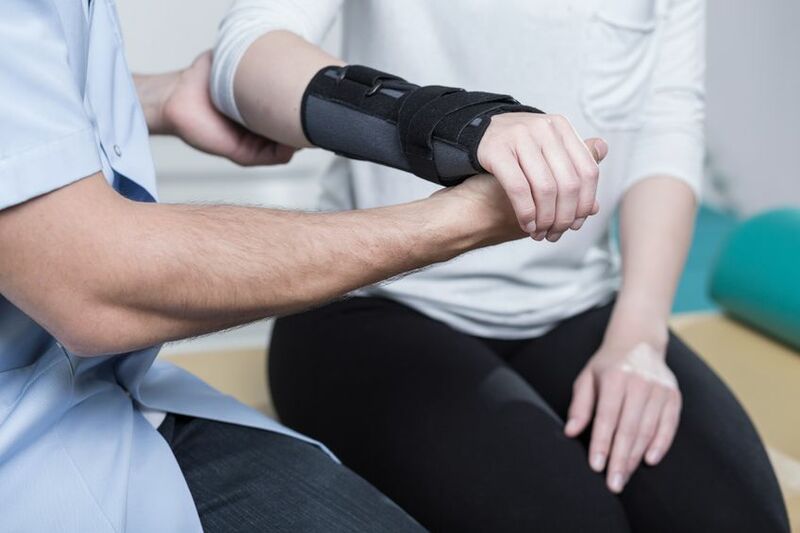 Most of the time people come in because they have sprained a ligament (the connective tissue that holds bone to bone), for example they may have rolled over on an ankle. With something like a sprain there is not much that we as practitioners can do directly. Ligaments are slow to heal and we have no conscious control over them, they just move when we move. However when it comes to a joint that has been sprained what we can do is work on the stability of the joint by strengthening the muscles around it. Strengthening the muscles and making them react quicker means that the injury is less likely to happen again. Tendons on the other hand need a different approach. Quite often we see either inflammation of the tendons (tendinitis) or tendinosis (chronic degeneration of the tendon without inflammation). This means we can’t directly strengthen the muscles in case the tendons become more painful. What we try an do instead is improve the function of the local and more distant joints and reduce muscular tightness of the inflamed tendon. What this does is take the pressure off the tendon and allow it to improve on its own. We don’t see as many people for rehab following fractures as we do for sprains and strains but it is definitely an area that we have good success with. Depending on the bone originally broken the area may have been immobilised in a cast for 6 to 8 weeks. This is essential to keep the bones together and to allow them to heal. However this immobility also means that the muscles around the bones don’t get any use either. This means that when the cast comes off the muscles will have become incredibly weak and stiff. It is also likely that one or more joints were also immobilised which will also have stiffened up. The rehabilitation process here involves regaining the movement through the joints and then regaining the strength of the muscles around the area. On occasions after a surgery you could expect to receive some physiotherapy to help you get back on track. These cases are usually things like heart surgery joint replacements. However in many cases after a surgery you are told to rest for 6 weeks and then resume light activities, but that’s about it. This is particularly true in minor operations such as hernia repairs. In these cases you don’t even receive advice for your rehab, let alone physiotherapy. During many operations, muscles are often cut into for various reasons. But when this happens it is obviously damaging the muscle which will need time to heal after. It may take around 6 weeks for muscles to heal, and even then scar tissue will often form. In these cases it is often a good idea to find and work with someone who can take you through some very basic exercises at your current level. This will help you begin strengthening weakened or damaged muscles and help you regain better function again. In cases of rehabilitation it can be hard to advise where to begin with us. You may need to be assessed and treated by one of our osteopaths first. Or you may be suitable for direct rehabilitation work. So for this reason we would suggest that you arrange for a free 30 minute consultation which will help establish the best course of action for you. Simply fill in the form below to arrange your free consultation.